The Syndicate describes how an American-led “Syndicate” of bankers and industrialists, pursued “one-world” policies. It takes us from the League of Nations via Hitler’s World Order, during which the US superseded Britain as the pre-eminent world power, to the United Nations, which now acts as a shadow world government and is the most likely organization to deliver the Syndicate’s New World Order. It describes how the Cold War led to the beginnings of the reunification of Europe and the world. The book demonstrates how the many revolutions of the 20th century have seized oil and levelled pockets of national self-interest in preparation for a coming world government. 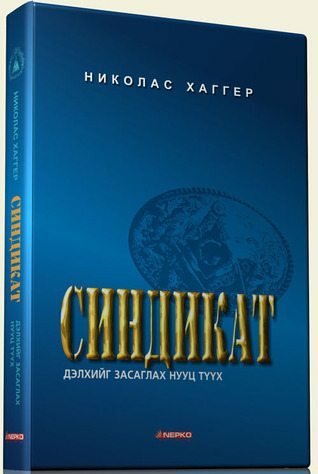 The book describes the Syndicate’s attempts to control the world population and its reunification of Europe. It shows how the Syndicate have used the UN and NATO as a world army in the Gulf War, Serbia and other crises of the 1990s. It connects the events of September 11 to the global outlook of the Global Coalition and the war in Afghanistan and Iraq. It shows how the Syndicate is setting up a political United States of the World which was originally set to have ten regions and will now have three regions, and considers how the coming world government will be consolidated. 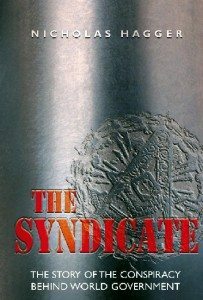 The Syndicate demonstrates how the 20th century, under pressure of the millenarian New World Order, has been rocked by wave after wave of revolutions which are individual waves in a high tide of world revolution and precursors of a world government. The book originated in the treatment of world government in The Fire and the Stones. The Epilogue explores the different forms the New World Order might take. Will it be benign and engender the abolition of war, disease and famine under the auspices of the UN, or will it be malevolent and so usher in an era of world dictatorship under a tyrant of the Hitler/Stalin type? How democratic will it be? Will it replace the North American civilization or be a phase within its development? Gathering up all the threads of the book, it asks whether the nation-state can survive and what the lessons for the future are. We are living in a time when nation-states are working together to bring about a New World Order that will introduce a world government. A new spirit of globalism has gripped the earth. National boundaries and cultures are dissolving under pressure of the North American civilization, and nowhere is this more evident than in the now almost unitive Europe. Is this process evolutionary or revolutionary? Who are the architects of the New World Order? And are they committed to the welfare of humanity, or do they represent vested interests in the North American and European civilizations (i.e. the West) that seek to coerce mankind for their own ends? The book shows that “the Syndicate” (the author’s term) is behind American internationalism and the new globalism, and has worked towards both throughout the 20th century. The Syndicate represents vested interests within the North American and European civilizations. The Syndicate, like The Secret History of the West, draws on secret history. The Secret History of the West probes the influences of Grand Orient Templar Freemasonry in creating revolutions, and The Syndicate discusses the mysterious and influential Bilderberg Group, which conventional history books ignore. The New World Order cannot be understood without this secret history. The world government was established at the UN in principle and in some secrecy in September 2000. The new structure will be formalised in the coming months and years. Proceeding chronologically, using a context of narrative to increase readability and accessibility, the book charts the world’s progress to the new structure or New World Order, and most of this material is new, extremely topical and potentially controversial. For example, a world government is good for mankind if it can abolish famine, disease, war; but questionable if its main policy is to reduce the world’s population. Evidence is provided that the Global 2000 Report, published in 1980 and accepted by President Carter, anticipated a reduction of the world’s population of 170 (perhaps 350) million between 1980 and 2000, and up to some 2 billion by 2030. Was it a forecast or a policy? If this is a policy, it is deeply worrying and highly controversial. The book is thus innovatory, even ground-breaking. The focus of the book is to ask questions as if in a court of law. The evidence for a century of progress towards a New World Order (i.e. world government) is presented and the reader is left to decide how compelling the evidence is. This book is important as it accumulates the circumstantial evidence for the Syndicate’s activities and the behind-the-scenes workings of the New World Order throughout the 20th century. The cumulative effect of assembling all the evidence is devastating. The whole picture has never before been presented so compellingly. It draws together many books and offers an understanding of contemporary world events that has not appeared until now. It presents the facts (some overt, some hidden) that enable a reader to understand our present time, the new globalism, and the events of September 11 and the ‘war on terrorism’ to which it has given rise. 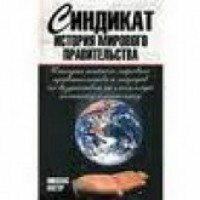 The book was written to correct the false media view of our time and to warn against the activities of the Syndicate which are behind American internationalism and globalism. These forces have been behind the First and Second World Wars and many events involving oil, and can now be seen to have been behind the events of September 11 and the Iraq War. The book was written to question the received assumptions regarding the US war against terror in Afghanistan and Iraq; to connect the war against terror with the acquisition of oil; and to show that the aim of the Syndicate is global hegemony. The book represents an attempt to tell the true story of the events of our time, and present a picture very different from the one the media gives. 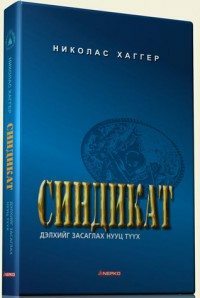 The book employs the new and completely original 4-part revolutionary dynamic developed in its companion volume The Secret History of the West (published in 2005) which shows that the revolutions of the last 550 years were waves in the same tide, and the New World Order Revolution is presented in terms of this dynamic. The events of September 11 have seen a Global Coalition make war in Afghanistan and Iraq. The new world situation and groupings are bewildering to very many people. Appendices focus on the 20th Century revolutions, the revolutionary dynamic of a New World Order, Islam and the global phase of the North American civilization. Is there a common thread behind globalization, the EEC, and war in the Middle East? Why did we invade Iraq when the reasons given – weapons of mass-destruction and links with Al-Qaeda – turn out to be wrong? Is it really the war on terror we should be most concerned about, or are we looking the wrong way? Nicholas Hagger places these events in the context of the last 100 years, and in doing so provides a controversial and challenging re-reading of history. From the Russian revolution to the present day it is money and oil that have driven events, rather than random individual acts of evil and aggression on the one hand, or the pursuit of liberty and democracy on the other. And behind these events there is a pattern, an inexorable drive to world government. Behind the pattern there are shadowy interests and organisations that undermine the integrity of nation-states and threaten to usher in a new and frightening era. 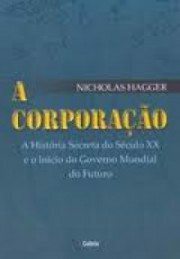 Nicholas Hagger’s books reveal truths that have been hidden, and are rewarding. He has devoted much thought to unearthing the pattern of history, and he presents a new approach to the influence of secret organisations on Western history in the 20th century and on plans to create a New World Order.